Responsive Web Design, Reliable Hosting, SEO / Social Media Consultants & Management, Advertising, and Computer IT Support (36+ yrs experience). 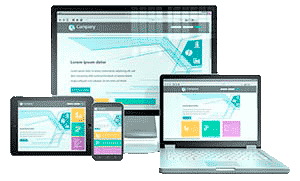 CityScope Net creates mobile ready - mobile-first responsive websites that are fast, clean, user friendly, web standard (W3C) and are search engine optimized (SEO). We use various software and tools to analyze your website which gives us insight to how you are doing and what changes we should make to improve your ranking in search results (SERPs). Call us at 713-477-6161 or contact us for more details. Responsive Web Design (RWD) is a web design layout that automatically adjusts the view based on the size of the users' screen. This optimal viewing experience of the website's content and images is easy to read and navigate for website visitors. The layout structure of the site remains the same on any device without the user having to resize the screen. The RWD site can be viewed on a wide range of devices such as; mobile smart phones, tablets, desktop computer monitors and internet connected televisions. There is no need to have two websites, one for desktop and one for mobile. Responsive web designed sites are preferred by Search Engines like Google, Bing and Yahoo. CityScope Net can create a custom and responsive website for you at a reasonable price compared to many web developers. We use tools to make the process faster, more efficient and save you money. We can help market and drive traffic to your website, build brand awareness, social marketing, social posting, review monitoring and management. We provide email security with each hosting account too! Or do you need to convert your old format website to a Mobile Responsive Layout so you'll rank better on the Search Engines? We strive to give you the best Internet and Computer support experience. We want lasting relationships! That's why most of our clients are long-time customers spanning from several years to over 36 years. We have a QUICK RESPONSE to your needs during business hours (Mon-Fri 9a-6p) by phone 713-477-6161 or email.